Snowcool India manufactures Electric Panels and Automation of Electrical Loads and Equipments. 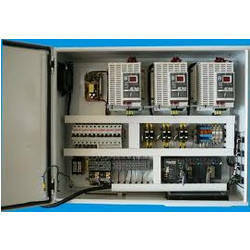 Electrical Starters used can be Switchgears or Electronic Soft-Starters or Variable Frequency Drives. Snowcool India Manufactures Standard Panels for Regular Applications like Pumps, Lift-Motors, Fire-Fighting and few others. While Majority of Electric Panels are Custom Designed, after studying Customer's Requirements. Snowcool systems India ltd engaged in manufacture of Intelligent MCC Panels for variety of applications viz. Hvac plants, chiller plants, refrigeration plants, cooling towers, dry coolers, fluid coolers, hybrid fluid coolers, ventilation units and many more. Our intelligent MCC panels offers power saving based on optimised process utilisation and input utilisation. Bas / bms / scada / dcs integration is a special feature of this intelligent panels, where as this cost effective panels are offered for replacement of existing old panels. Snow cool Systems India Ltd is engaged in manufacture of Chiller Plant Panels and Automation for AC Plants, Chiller Plants, Refrigeration Plants and many more. We provide solutions for replacement of Old and Obsolute Panels for Chiller Plants and Refrigeration Plants. 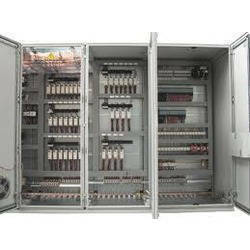 We use siemens switchgears and danfoss / Alenbradley / Equivalent VFDs & PLCs etc in our MCC Panels and Control Panels. Our Control Panels are BMS / BAS / DCS / SCADA integrable and uses advanced Technologies. Looking for Electric Panels and Automation ?